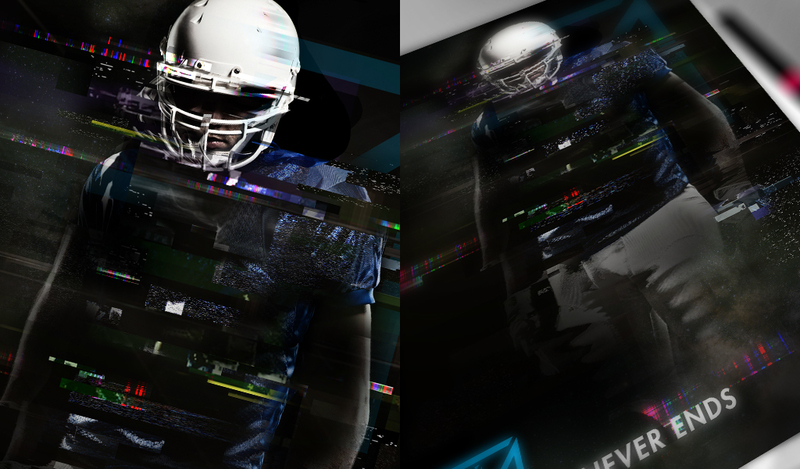 We’re football fans here at CT. We’re also passionate design and brand fans. 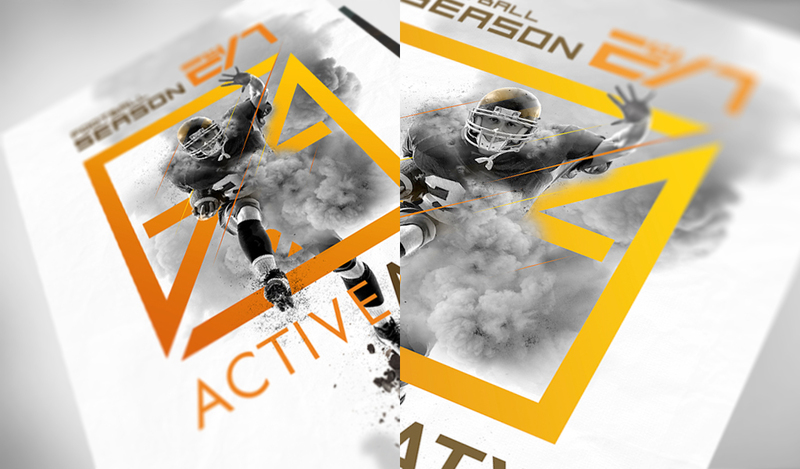 With the new season kicking off in just a few short weeks, we put together a little showcase for Active Austin, an internal project that combines our weekday and weekend passions into a celebration of Austin, football, design and branding. 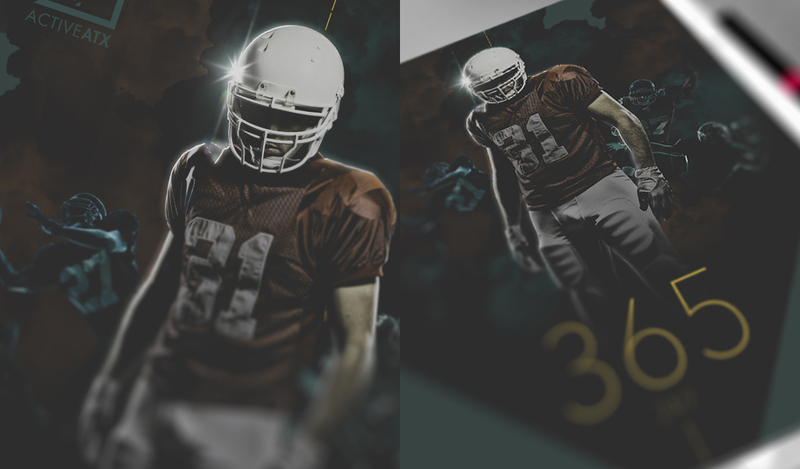 For round one of Active Austin, we settled on posters and a set of photographic assets each designer had to incorporate into their design. 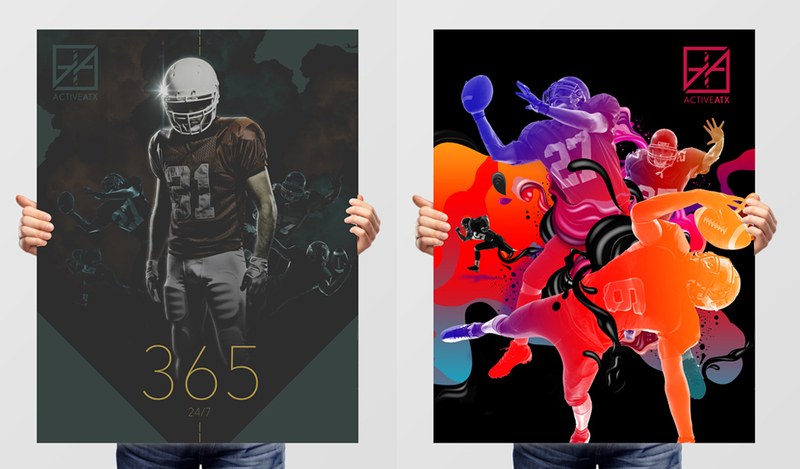 The result, three very different concepts and styles – one dark, minimal and full of swagger, one a bright, energetic and playful approach to the gridiron, and the third, a glitchy, abstract statement on a sport whose season never truly ends. 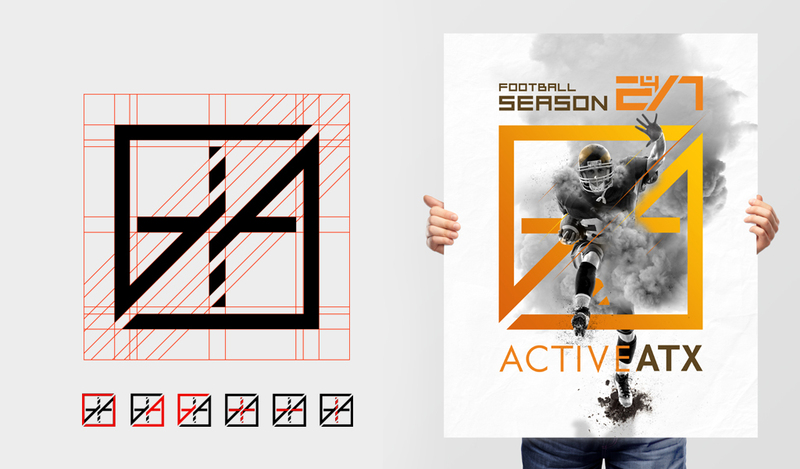 In addition to the poster concepts, we also created a logo for the project, merging the A’s with a plus sign to create a strong, dynamic mark. 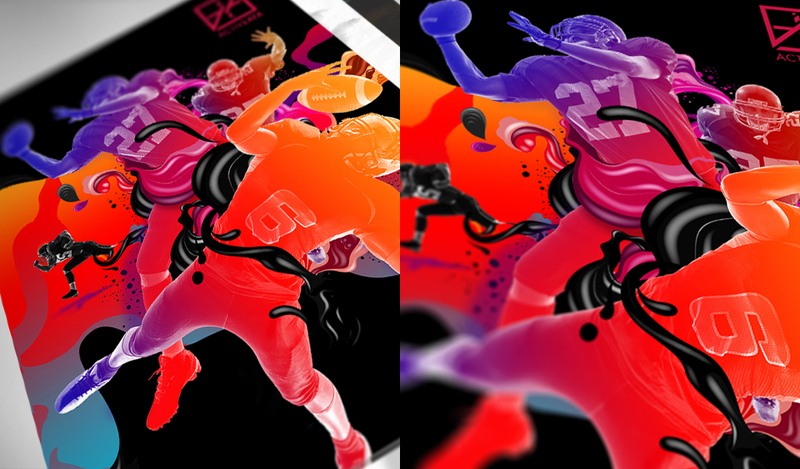 Altogether, a fun challenge for the team and opportunity to stretch our design and concepting skills around a sport we love, but don’t see come through the studio often. Stay tuned to see what else the season has in store for us and Active Austin.